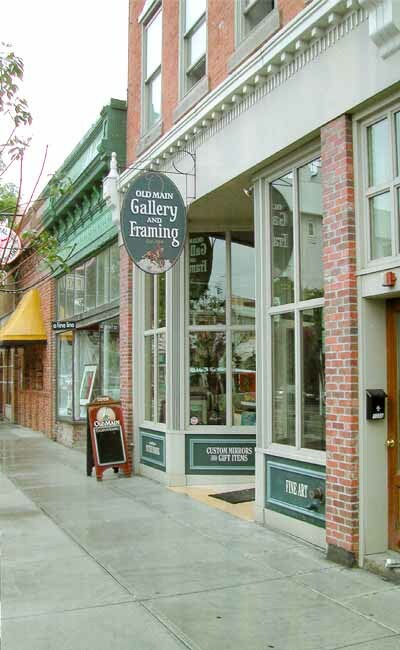 Old Main Gallery and Framing in Bozeman, Montana offers state-of-the art picture framing services to preserve and enhance your artwork, in addition to providing a gallery displaying an interesting combination of original paintings, antique maps, area, classical, and vintage prints and posters. Nestled in beautiful downtown Bozeman, Old Main Gallery and Framing is located in a restored nineteenth century building, which offers a nostalgic and relaxing setting for our guests. It is Old Main's goal to maintain a personable, small town ambiance while providing the latest in professional picture framing services.